Learn all about swim spas here! -- A swim spa is a great investment for health and wellness: you can swim, walk on a treadmill, exercise your upper body, teach kids to swim or just sit and relax. However, swim spas can be a substantial investment. A bit of research before buying is definitely a good idea. And after you make a purchase, proper installation and maintenance will insure years of enjoyment. A healthy new lifestyle awaits you. To learn more, click on one of the sections below. 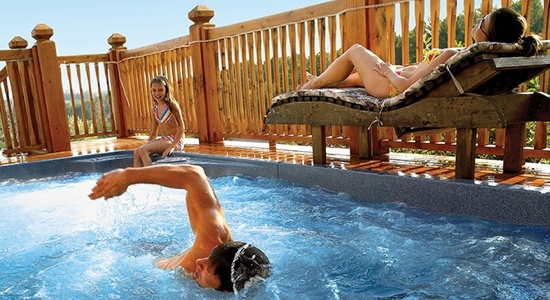 Read our guides to learn about buying, installing and maintaining a swim spa. What's the best swim spa? 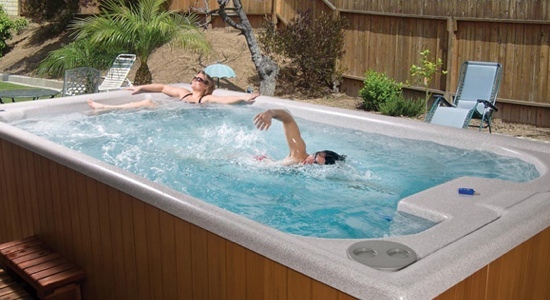 Read our reviews to learn about the different swim spa manufacturers. Join our forum discussion to ask questions and learn more!